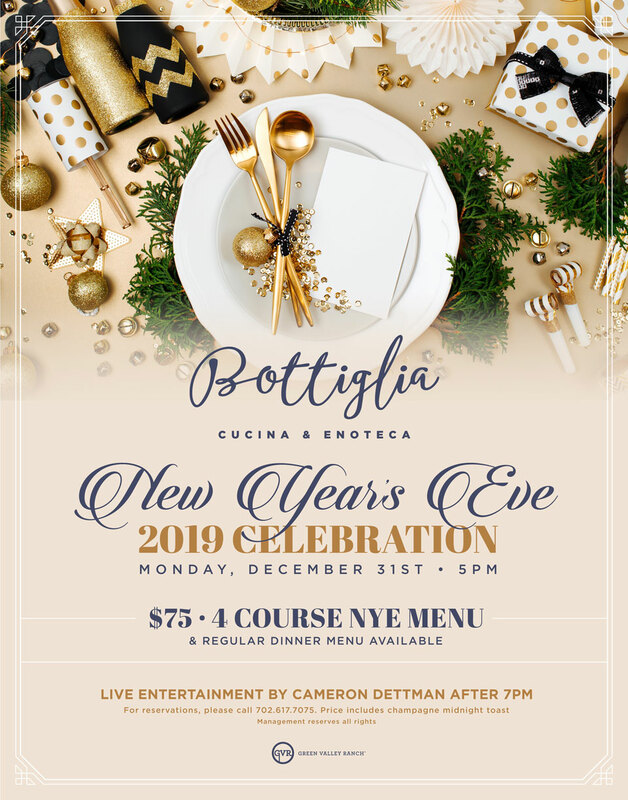 WELCOME THE NEW YEAR AT BOTTIGLIA CUCINA ENOTECA. Celebrate the New Year in style at Bottiglia Cucina Enoteca inside Green Valley Ranch Resort and Casino. Start the night with Chef’s carefully crafted $75* pre-fixe New Year’s Even Menu and enjoy a 4 course culinary experience. Bottiglia’s regular dinner menu will also be available all evening. The Party continues at Bottiglia with live performance by Cameron Dettman after 7pm and midnight champagne toast.